Just Jingle: Don't Make a Scene! Okay, I lied. That's actually EXACTLY what we want you to do for the Simon Says Stamp Wednesday Challenge this week! Make a Scene! The Design Team is using Newton's Nook products in our scene inspired cards today. You don't have to use them if you don't want to, but we would love to see them if you've got 'em! 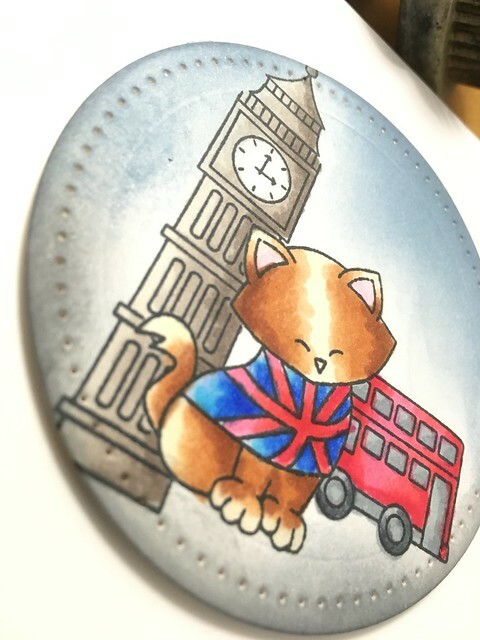 Okay, so, when I saw this Dreams of London stamp set I simply HAD to have it. And then we got super busy getting ready to move and I hadn't had the chance to play with it yet. I finally broke it open and oh, my goodness, I love it even more!!!! I stamped (masking the cat) the images and then colored them with Spectrum Noir pens. I added some distress inking to create the background in my little die cut circle. And now it's YOUR turn! Create something awesome that incorporates a scene in some way on your project and link it up over on the Simon Says Stamp Wednesday Challenge blog for your chance to win a $50 Gift Certificate to the Simon Says Stamp store! THAT, my friends, is an awesome prize! I can't wait to see what you create! Scenes can be so much fun to put together! TOO cute, Jennifer! What a great scene! 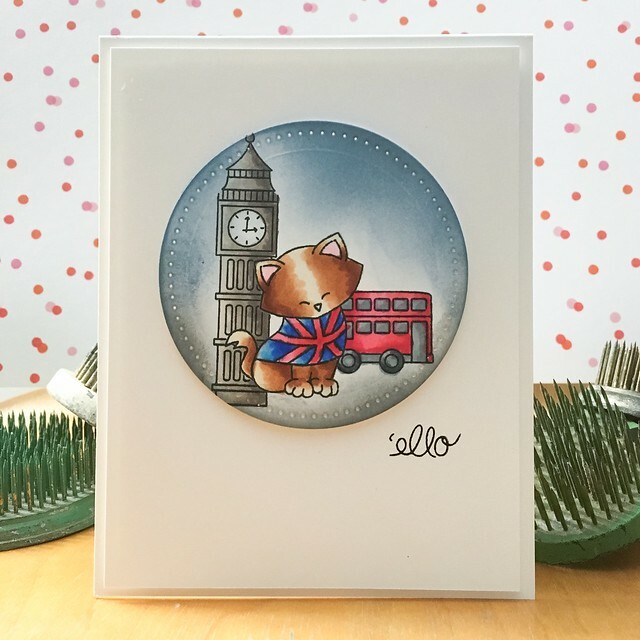 Adorable card and love Newton in London.